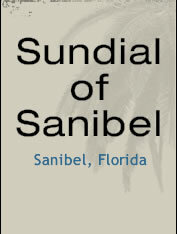 SUNDIAL OF SANIBEL CONDOMINIUM ASSOCIATION, INC. The following rules and regulations are only a partial list as they pertain to owners and guests of Sundial. A complete list can be located in the condominium documents. We ask that you adhere to all these rules and regulations so that Sundial may be enjoyable for everyone. 1. Nothing shall be placed in the walkway, stairways or elevators to cause an obstruction. Nothing shall be hung from doors, windows, balconies or corridors and no bicycles; skateboard riding, roller blading/skating, or the like, shall be done on walkways of the buildings. 2. No cooking or grilling of any nature shall be permitted on the porches, lawns, or any exterior part of the buildings. 3. Games or other sporting activities are prohibited in the courtyards.Moped or motorcycle riding except for ingress and egress is only permitted on the driveway areas. 4. Owners only are permitted to have pets in their units. However, owners must curb, leash and maintain proper control over their pet at all times when not in their unit. Pets are prohibited from being walked on the common elements except for ingress and egress to their apartment. 5. All garbage and refuse is to be deposited only in the receptacles provided in each building. 6. Automobile parking spaces shall be used solely and exclusively for that purpose. They shall not be used for the storage of boats, inoperative vehicles, or any purpose whatsoever other than parking facilities aforesaid. 7. No apartment owner or resident shall play or permit to be played any electronic devices (stereo, television, etc.) or other loud speaker, or speak in a loud manner in any unit between the hours of 11:00 PM and 8:00 AM if the same shall disturb or annoy the other occupants of the buildings. 8. Owners, residents, their families, guests, servants, employees, agents and visitors shall not be at any time or for any reason whatsoever enter upon or attempt to enter upon the roof or power rooms of any building. Service personnel may obtain access through the management office. 9. All doors leading from apartments to (limited common elements or common elements) shall be closed at all times, except when in use for the purpose of ingress and egress. 10. There shall not be kept in any unit any inflammable, combustible or explosive fluid, material or chemical or substance, except for normal household use. 11. No apartment owner or resident shall direct, supervise or in any manner attempt to assert any control over any of the employees of the association, nor shall he/she attempt to send any such employees upon private business. 12. Complaints regarding the service of the condominium association shall be made in writing to the board of directors or the manager.